The Federal stimulus provided by the Home Buyer tax credits continues to wind down and we continue to monitor its effects on our local Champaign real estate market. 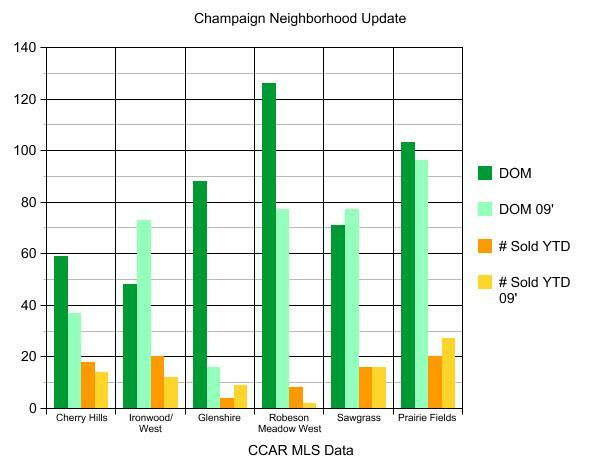 The data in this post breaks out ‘Year-to-Date’ info for a number of popular subdivisions in Champaign and Savoy and compares it to last years activity. 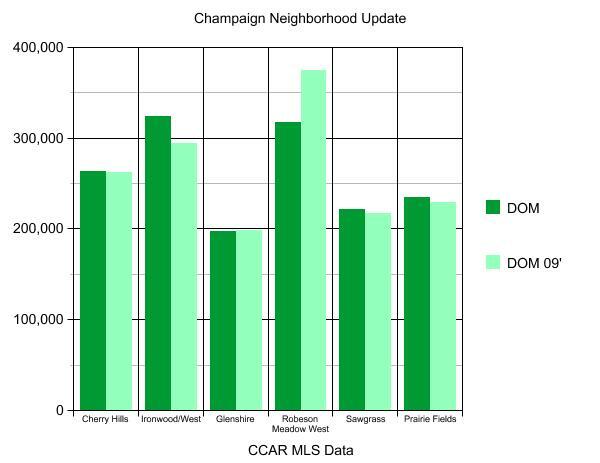 Average Days on Market (DOM) for homes in these Champaign Subdivisions has varied quite a bit, but there is not a noticeable trend in these numbers. Cherry Hills maintained it’s edge over the other subdivisions with a surprisingly short 59 DOM. Robeson Meadows West was on the long end with a an average time to sale of just over 4 months. The total number of homes sold in these subdivisions is actually up by 6 sales (approx 8%) and the average prices were slightly down but practically flat with $259,774 YTD in 2010 and $262,502 for the same period in 2009. Interestingly, the neighborhoods with the highest or lowest average sale prices did not have a consistent trend up or down. 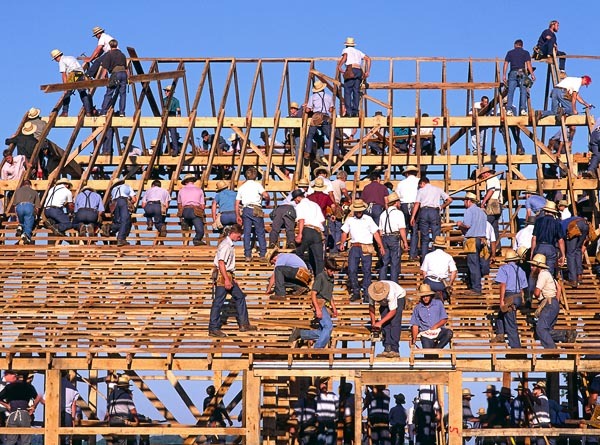 We would expect the higher priced homes to move slower but in these examples it has not made a remarkable difference. The chart below shows changes in the average sale prices for the 2010 and 2009 YTD periods. The average sale price of homes in Ironwood and Ironwood west subdivisions saw the greatest increase at 10%. A large number of these homes were new construction near the new Porter Family Park. Robeson Meadows West saw a 15% decrease in the average sale price but that number can be significantly discounted as there were only 2 closed CCAR sales in the 09 YTD period. Prairie Fields and Sawgrass subdivisions saw modest increases in their sale prices, roughly 2%. When you’re looking at these sale price numbers don’t assume that every home in that subdivision lost or gained the same percentage in value. The best use of the average sale price is to monitor what types of homes are selling. To find the actual increase/decrease in value would require a more specific look at the numbers.